Jan Beadle has over 25 years’ experience in the textile field working in Higher Education running a Constructed Textile Resource at University of Cumbria, formally Cumbria Institute of the Arts. 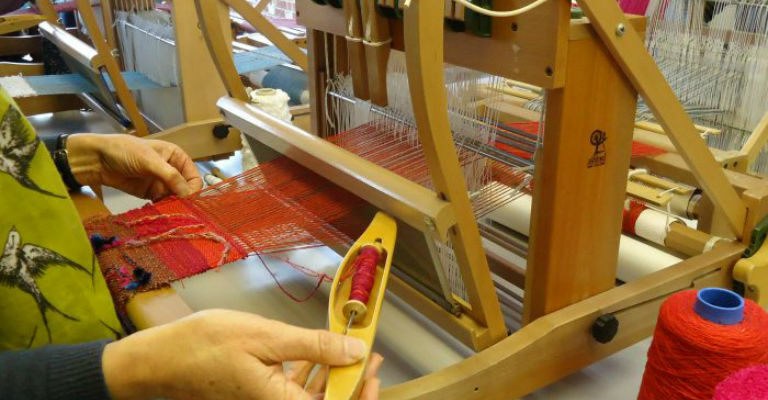 She is well accustomed to getting the very best out of students having worked with BA and MA students studying Contemporary Applied Arts, so is now able to offer specialised weave courses for a wide range of abilities. Woven on a table loom there are a range weaving techniques will be used at the workshops and all are suitable for beginners.